On June 4th 2010, Sprint started selling the HTC Evo 4G, the first WiMAX phone in the United States, which is running Google Android operating system and has a terrific platform for streaming media and web browsing with Sprint 4G network. HTC Evo 4G smartphone has turned into a best-seller for Sprint. It sold three times more on the day of its launch than Sprint earlier hits, the Samsung Instinct and Palm Pre did over their first three days combined. The HTC Evo 4G is so hot that it has led to "temporary shortages" at some of Sprint stores across the United States, as claimed by the wireless carrier. 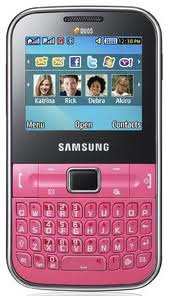 Sprint will release its second WiMAX smartphone, the Samsung Epic 4G, on August 31, 2010. It is expected to be another best-seller for Sprint because of its 4G capabilities combined with the Epic industry-leading features described in this article. Most 3G subscribers today can expect download speeds up to 1 megabit per second. 4G networks currently deliver as fast as 6-7 megabits per second, and eventually will be about 10 times faster than 3G networks. It shall be noted that Verizon Wireless expects to launch its 4G Long Term Evolution (LTE) in 2010 followed by AT&T in 2011, while T-Mobile has no current plans to build its next-generation network. Samsung is the second biggest maker of all types of cell phones. Samsung Epic 4G is part of the company plan to boost its standing in the smartphone market by utilizing bigger screen, faster processor, updated software, better camera, addition of second camera, 5 row keyboard, and content quality for a premium user experience offering a fully integrated multimedia, messaging and social networking. The Epic falls into Samsung Galaxy S phone series. However, it is different from other Galaxy S phones as it features a physical full slide-out QWERTY keyboard and 4G technology. It features a 4-inch, 800x480 resolution, Super AMOLED capacitive touchscreen display, the thinnest display technology on the market today. The touchscreen display supports a series of advanced touchscreen gestures, including pinch-to-zoom, and vertical and horizontal swiping. It also features wider viewing angles to prevent blurring or distortion, and faster response time to reduce ghosting images. It has a six-axis motion sensors to fine-tune its ability to interpret simple movements and provide an optimal gaming experience. In addition, it allows for an HD-quality viewing experience, offering the best representation of color on a mobile phone that matches the original content more than 100 times the contrast quality of other leading displays. It has a slide-out QWETRY 5-row keyboard. If you do not want to use the physical keyboard, the Epic comes with six possible virtual keyboards. There is the Swype text-entry method, which lets you drag your finger across the screen without lifting it, as well as Samsung and Google portrait and landscape mode keyboards. It has a 5-megapixel camera/camcorder with autofocus, Power LED flash and 3x digital zoom for HD video (720p) recording for capture and playback on an HD television, and front-facing VGA camera for video chat and more. It is equipped with 1-GHz Cortex A8 Hummingbird application processor that supports amazing 3-D graphics, faster upload and download times, and the full richness of HD-quality multimedia content. It works with Sprint 4G WiMAX network as well as 3G CDMA network. Samsung Epic will initially run Google Android 2.1 operating system with an upgrade to Android 2.2 coming in the near future, which will improve browser performance, including Adobe Flash 10x support, voice dialing over Bluetooth, and application storage on external memory. Users can access the Android Market for more than 65,000 useful applications, widgets and games available for download to customize the experience. It is capable of supporting up to five Wi-Fi enabled devices simultaneously to share the 3G or 4G experience for an additional charge of $29.99 per month. This hub integrates all of the user social networking services, messages, personal and business email, calendars and contacts. This service wirelessly share stored music, pictures and HD video to other Digital Living Network Alliance (DLNA) Certified home electronics, including HDTVs, monitors, digital cameras, printers, etc.